If an out-of-state business collects subscription proceeds from a South Carolina resident, must it pay South Carolina tax on that income? With subscription-based services all the rage nowadays, the concept begs the question: What about taxes? Based on a recent case holding, it is clear that cable provider DirectTV had hoped to circumvent this minor detail – but was instead slapped with an $8.5 million income tax bill for failing to pay taxes on revenues from consumer subscriptions in the state of South Carolina. The case, which was decided by a state administrative judge within the Department of Revenue – hinged on the concept of “income-producing activity,” and whether the cable company actually engaged in taxable activity within the state of South Carolina. The case also serves as a glaring reminder of a foundational principle that, in life, only two things are inevitable: death and (federal and state) taxes. DirectTV asserted throughout the course of the litigation that the monthly subscriptions maintained by South Carolina residents did not “count” as the source of its income. Rather, its income is derived from “national marketing, content development, broadcast operations and customer service — business activities that are conducted outside of South Carolina.” By that reasoning, the company shouldn’t have to pay income tax in any state outside its state of incorporation, right? Not really. Invoking a much more thorough level of reasoning, the administrative law judge concluded that the actual revenue-producing activity conducted by DirectTV involved its “delivery of the signal into the homes and onto the television sets of customers…. [and] all of those income-producing activities related to South Carolina customers occurred entirely within South Carolina. Thankfully, the judge also took a moment to rebuke the respondent for its argument, stating that it was of “no practical value.” Between 2006 and 2011, DirectTV has generated over $2 billion in subscriber fees from South Carolina homes and businesses, including $136 million in revenue from cable equipment and boxes. If you are struggling with a state taxation issue or would like to discuss a general business matter, please do not hesitate to contact the Florence and Myrtle Beach business law attorneys at Willcox, Buyck & Williams today: 843-536-8050. Are taxi companies like Uber regulated by the same rules as traditional taxicab operators? Following a crushing blow to its business model in California, transportation network company Uber is facing yet another legislative response to the way it handles its company and employees under South Carolina law. As the 21st state to take notice of Uber’s less-than-compliant business tactics, Governor Nikki Haley recently signed into law a bill designed to ensure that issues connected to the company in other states do not occur in the Palmetto State. More specifically, the law regulates ‘transportation network companies’ in terms of licensing, driver background checks, and vehicle safety inspections. Conducting its business largely unchecked, Uber – and companies like it – will now be required to obtain permits from the state’s Office of Regulatory Staff – which is responsible for enforcing specific corporate regulations required across several industries. In addition, the bill requires drivers to undergo criminal background checks before accepting fares within the state – a move prompted by several nationwide reports of sexual assaults and unsavory conduct by drivers against their passengers. Moreover, a transportation network driver in South Carolina cannot have any record of drunk driving or driving under the influence of drugs – and must inform his or her vehicle lienholder if the vehicle will be used to transport fares. Lastly, the bill ensures that all vehicles are safe and properly inspected under South Carolina standards. Once approved, the vehicle must prominently display its licensure and driver identification information. If you are considering starting a business in South Carolina, or would like to speak to a knowledgeable business law attorney in the Florence or Myrtle Beach areas, please contact Willcox, Buyck & Williams by calling (843)536-8050. What are the latest laws impacting South Carolina business owners? In an interesting turn of events, the South Carolina legislature passed a law in early June, 2015, prohibiting the state from entering into a contractual relationship with any business actively engaged in certain types of boycotts. The legislation is unique in that it works to deter or dissuade small businesses from engaging in discriminatory conduct, even when such conduct is less obvious or overt to the general public. Under the provisions of Section 11-35-5300 of the South Carolina code, the term “boycott” is used to refer to a business decision rendered by a corporation that involves “blacklisting” or divesting from a certain person or corporate entity for a specific reason. Under the new law, South Carolina public entities and agencies are prohibited from entering into a contract with any private sector entity that actively decides to boycott another business or person based on that entity’s race, color, religion, gender, or national origin. As a South Carolina business owner, it is important to understand the pivotal distinction between a lawful boycott, and one that could cost your business lucrative government contract revenue. Keep in mind that your board is well within its rights to make a calculated economic decision not to work with a certain entity or individual, provided the decision is not based on any discriminatory motive whatsoever. If you are concerned with corporate compliance and would like to speak with a reputable Florence and Myrtle Beach business and corporate law attorney, please contact Willcox, Buyck & Williams by calling (843)461-3020 right away. A special thanks goes out to everyone who attended the Chamber's quarterly CEO Breakfast this morning, sponsored by Willcox, Buyck & Williams, P.A. It's always fantastic to be able to get a group of the area's business, government and community leaders around one table to discuss what's taking place in our community, where current projects are headed and how we can all work together for the betterment of Florence. In most states, employers are required to carry workers’ compensation insurance to cover workplace injuries sustained by their employees. Workers’ compensation insurance is a “no fault” system which allows every employee to receive benefits for a job-related injury, regardless of who caused the accident or illness, though intentional, self-inflicted injuries may be excluded from workers' compensation benefits. The system balances the needs of workers, who are entitled to receive prompt medical treatment for their injuries, with the needs of employers who can conduct their business operations free from the fear of being sued by an injured employee. Workers’ compensation programs can provide claimants with medical benefits and, provided certain requirements are met, temporary compensation payments until the employee is able to return to work. In certain situations, claimants may also receive permanent benefits such as job retraining or supportive medical care. But what happens if you get hurt and your employer doesn’t have the required workers’ compensation insurance? Regardless of whether your employer participates in a workers’ compensation insurance program, it is important that you seek medical attention immediately, to ensure you receive proper treatment and to document your injuries. Typically, an injured worker's only legal option for recovering compensation from the employer is to file a workers’ compensation claim. There are a few exceptions, however, such as when an employer intentionally causes the workplace injury, or when an employer fails to carry the required workers’ compensation insurance. If you are injured and your employer does not participate in a workers’ compensation insurance program, there may be coverage available to you through a government fund for injured workers whose employers do not have the mandated workers’ compensation insurance. If you find yourself in this situation, check with your state’s Labor Department to find out what programs may be available in your area, and to report your employer’s non-compliance with the workers’ compensation laws. Injured employees whose employers do not carry valid workers’ compensation coverage also have the option of filing a civil lawsuit against the uninsured employer to recover compensation for their damages. Through the civil court system, uninsured employers may have to pay substantially more in damages to cover the injured employee’s losses including medical bills, future lost earnings, and pain and suffering. In most jurisdictions, workers' compensation insurance programs limit the injured employee’s recovery by disallowing claims for “pain and suffering” or punitive damages which would be allowed in a civil lawsuit. Civil cases also differ from claims made through no-fault workers’ compensation programs in that certain legal principles may apply, such as “contributory negligence,” which can limit an employee’s recovery based on percentage of fault. 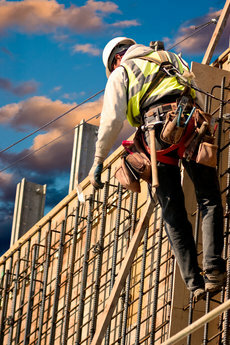 In most jurisdictions, employers who fail to carry workers’ compensation insurance are not only liable to their injured workers, but also face penalties for violating the law. Jack Muench , attorney with Willcox, Buyck & Williams was recently added to the panel of judges for the 2nd Annual Shark Chamber BUSINESS PITCH COMPETITION in collaboration with the North Dargan Innovation Center & the FMU Center for Entrepreneurship. If you are an Entrepreneur with a bright idea, here is the chance to pitch it in the Shark Chamber! Develop and pitch your business to the community and business leaders from Florence. The finalists of the competition will present in front of a panel of judges compiled of local business leaders and an audience of their peers. Business pitches and ideas must be submitted at www.flochamber.com/sharkchamber. Participants can include a new idea, recently started business, or small business. Fill out the application for Shark Chamber on the Florence Chamber website. The winner receives a business-boosting prize package including advertising, marketing, and in-kind services valued at over $10,000 to be used to help grow your company in Florence County! The event will take place Friday, June 19th at the FMU Performing Arts Center at 5:30 PM. Can agencies regulate business licenses? In 2012 the South Carolina State Department of Health and Environmental Control issued a permit to allow the State Ports Authority to renovate a waterfront warehouse in Charleston. The State Ports Authority filed the permit to add more pilings in the water and turn the warehouse into a cruise ship terminal for passengers. The Ports Authority proposed the $35 million dollar terminal after Carnival Cruise Lines decided to permanently base a passenger cruise liner in Charleston. Opponents to the renovations filed arguments stating the new terminal will increase pollution while decreasing property values and the quality of life in the area. In early 2014, an Administrative Law Judge upheld the permit on the basis that opponents lacked standing to appeal the original decision. The Administrative Law Judge ruled the opponents, consisting of neighborhood preservation and conservation groups did not state “specific, admissible facts to support their allegations and statements.” The groups appealed the Administrative Law Judge’s Ruling to the state Court of Appeals. Opponents have suggested a different site for the terminal, which is further away from the Historic District. The State Ports Authority said the proposed alternate site is not large enough for a passenger terminal and will be needed to support freight shipments for a proposed business expansion. In addition to the state suit, the site is also subject to a federal suit based on a permit filed by the Army Corps of Engineers. The Army Corps filed a federal permit in 2013. A judge ruled the Army Corps failed to consider the impact of the terminal on the Historic District. The Army Corps agreed to expand its review to consider the impact of both the pilings in the water and the Historic District. A business typically has to file for permits when expanding or renovating existing building. The process for filing, investigating, and getting a permit is extensive and involves many different legal considerations. If your business is involved in litigation surrounding a regulatory permit filing or considering the process to expand your facility, contact the experienced business and corporate law attorneys at the Willcox, Buyck & Williams, P.A. The attorneys at Willcox, Buyck & Williams have been in business for over 120 years and have offices in Florence (843) 536-8050 and Myrtle Beach (843) 461-3020. Is a business responsible for the actions of its chief officers? The CEO of Lumber Liquidators, Robert Lynch, abruptly resigned last week after three years on the job amidst a Justice Department investigation. Lynch also served as the company’s president and director. The company recently announced the Justice Department is seeking criminal charges against it after an investigation over flooring products it imported from China. The laminate flooring reportedly contained a high level of formaldehyde. The company recently suspended sale of its entire laminate flooring inventory made in China pending a review of its sourcing compliance program by a board committee. After discovering the chemical issue in the laminate flooring, Lumber Liquidators sent out free air testing kits for consumers who installed the flooring. More than 97% of those customers who used the kits reported the level of formaldehyde concentration in the air was within the World Health Organization Guidelines. The company also stopped buying Chinese laminate flooring and is purchasing the product from Europe and North America. In the wake of Lynch’s departure, the company stated that its founder, Thomas Sullivan would take over as CEO until a replacement is found. Lumber Liquidators refused to comment on the resignation. Certain officers and board members of companies have a fiduciary duty to the company’s shareholders. This means the officer is required in some situations to disclose particular information and knowledge to shareholders. It is important for companies to have clear policies for its fiduciaries for disclosing information and to research the officers’ and board members past employment and potential conflicts of interest to avoid potential lawsuits. If you own a business, avoid a lawsuit for the actions of an officer by contacting an attorney to review business policies and disclosure requirements. The law firm of Willcox, Buyck & Williams has been in business for over 120 years and its business and corporate law attorneys have extensive experience in preparing corporate papers, managing fiduciary requirements, and representing clients in business disputes. They have offices in Florence (843) 536-8050 and Myrtle Beach (843) 461-3020. Contact them today for a consultation. The Florence Regional Arts Alliance hosted a reception during which several community members received recognition for their contributions to the arts community. The Business & Arts Partnership Award Recipient went to Willcox, Buyck, & Williams, P.A. This award recognizes a Florence County business for its vital commitment to the arts as evidence by operational and/or project support provided on a substantial and ongoing basis. Willcox, Buyck & Williams, P.A. championed by Reynolds Williams changed the landscape of Florence in 2015 through its organization and support of the “Play Me I’m Yours Project.” Through the establishment of the Willcox, Buyck & Williams Foundation, this partnership built bridges throughout the community and brought people together through music and art.